Southeast 30 knots gusting 40 knots, but 35 knots gusting 45 knots north of Whangaparaoa Peninsula, rising to 40 knots gusting 50 knots but 45 knots gusting 55 knots in the north this morning. Becoming southeast 40 knots gusting 50 knots everywhere this evening. Sea rough but very rough in the north. Sea becoming very rough but high in the north this morning, then very rough everywhere this evening. Fair visibility in showers developing this morning, becoming poor in rain from afternoon, heavy at times. Not nice! Even worse when they add that swells will be 6 metres or more. Over the wreck of the Rena they recorded high winds and swells of 10 metres, and the whole stern section that had sunk just below the water level back in February, disappeared completely into the depths releasing more containers and more debris. The area around it in the Bay of Plenty outside Tauranga was a no-go area once again. 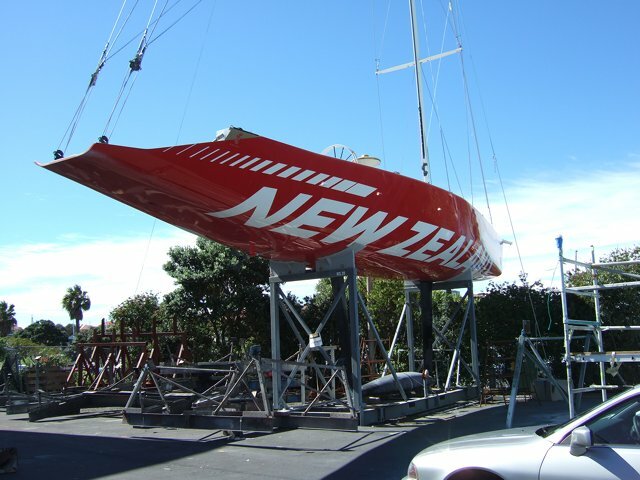 The annual yacht race from Auckland to Tauranga that takes place every Easter, was cancelled due to the danger from debris. 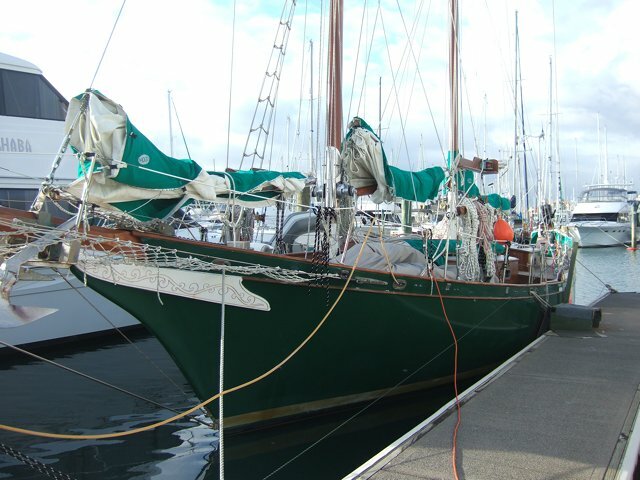 We were very pleased to have left Tauranga and Gulf Harbour proved to be a very sheltered haven. Not so fortunate was the small pool of oil under the engine when we arrived. We had a small leak most of the way across the Pacific and the local Volvo agent in Tauranga sorted it out with new oil pipes to/from the oil cooler before being lifted ashore last summer. These very expensive pipes (£450!!) contain middle sections of rubber with crimps at each end to seal them. At least they are supposed to seal them, but after just 18 hours of running, oil is leaking through. The good news is that as they are genuine Volvo parts fitted by a genuine Volvo dealer they are under warranty for 12 months, so they will fit new pipes free of charge. The bad news is that they don't have any in New Zealand and they will have to come from Sweden and go through the Volvo dealer route to get here. We hope to find out tomorrow how long we will have to wait. We had hoped to leave New Zealand at the end of April with the annual Fiji rally, but this could now be in doubt. With the storm out the way, Easter weather was surprisingly good - no rain and a fair amount of sunshine. 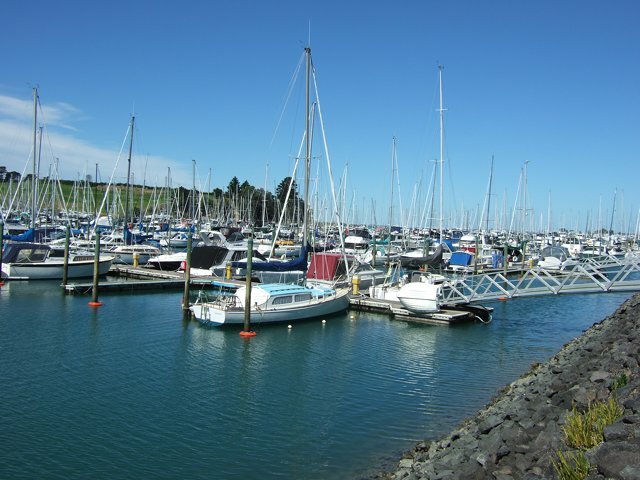 We have a berth right at the entrance to the marina and have never seen so many boats in New Zealand head out to sea. 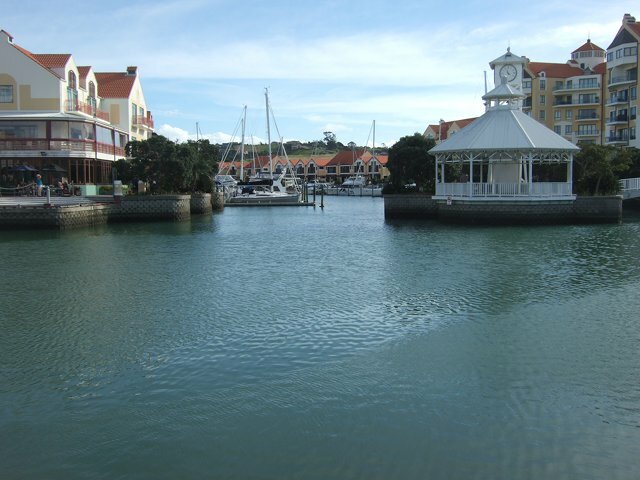 It was reminiscent of Poole Bay back home with boats sailing in all directions. For us it was a good opportunity to strip, clean and re-lubricate all the winches. We have 9 and the big ones take 4 hours each and the small ones 2 hours - 3 in a day is about my limit! So Good Friday, Saturday and Easter Sunday were accounted for. 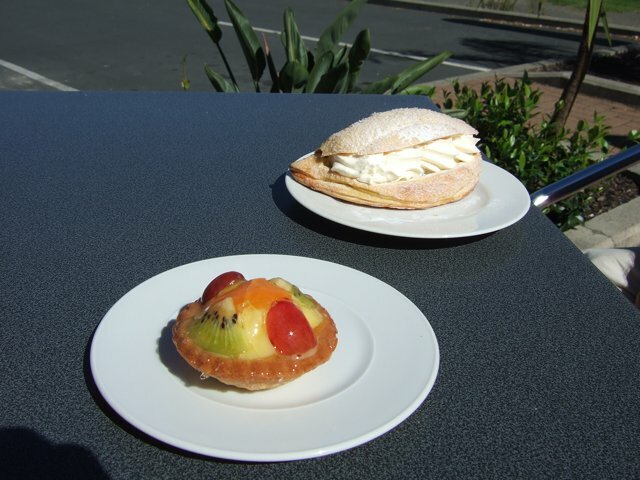 Today, Easter Monday, was a day off - a trip to Tiritiri Matangi, and tomorrow's blog entry. Gulf Harbour - 1000+ boats of all shapes and sizes. One of the more interesting boats just along the pontoon from us. 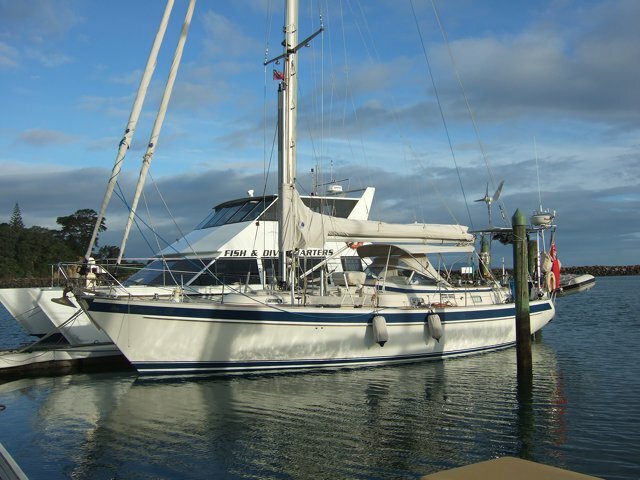 Aurora B, with a fish/dive charter boat behind. 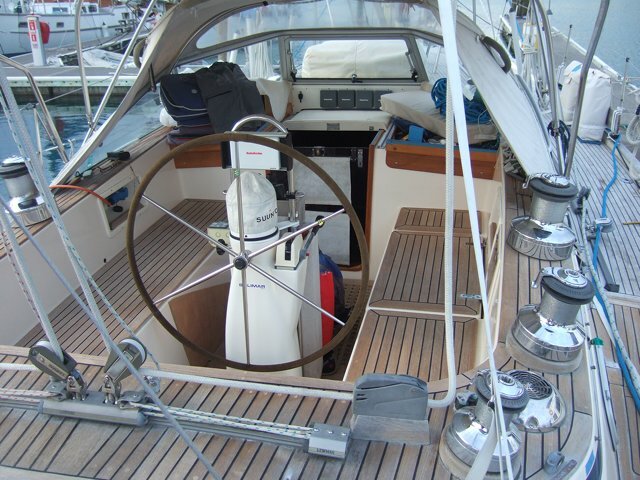 Winches to be serviced - 3 on either side of the cockpit and 3 on the mast. 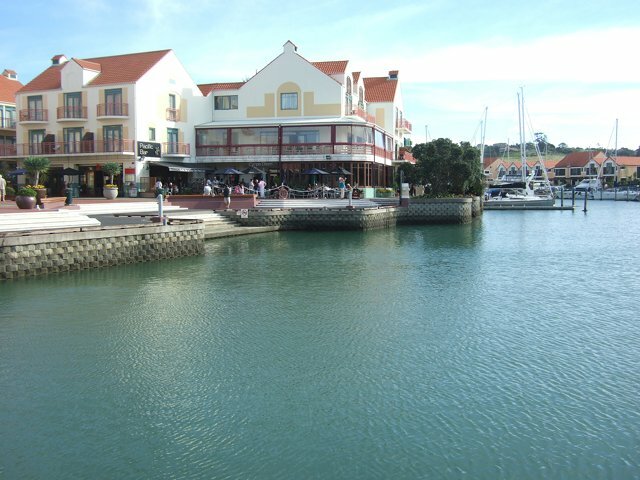 Cafes and restaurants along the water's edge complete the picture. Striking - and an interesting keel! 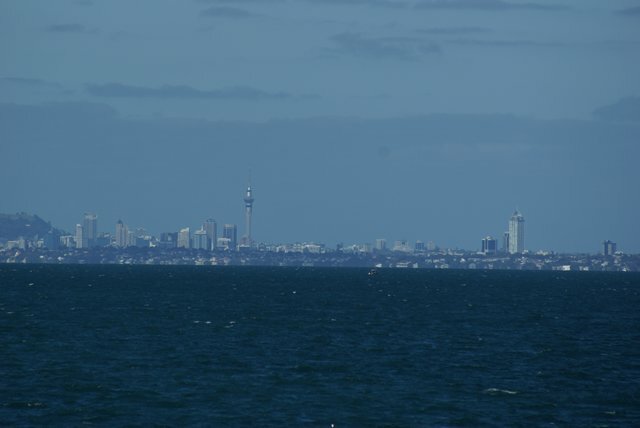 Auckland - 18 miles away taken from Gulf Harbour with a long lens. 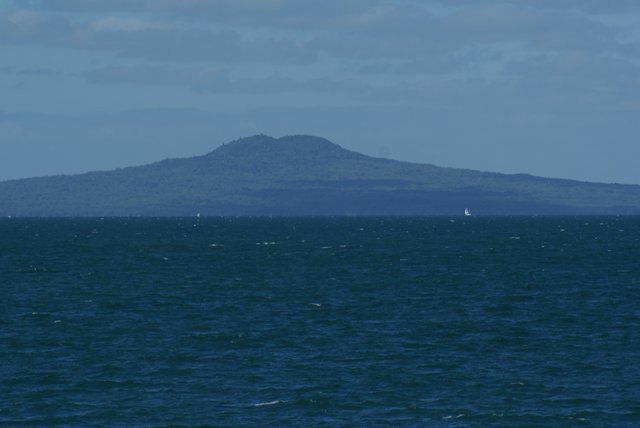 The extinct volcano Rangitoto at the entrance to Auckland harbour (again, 18 miles in the distance).